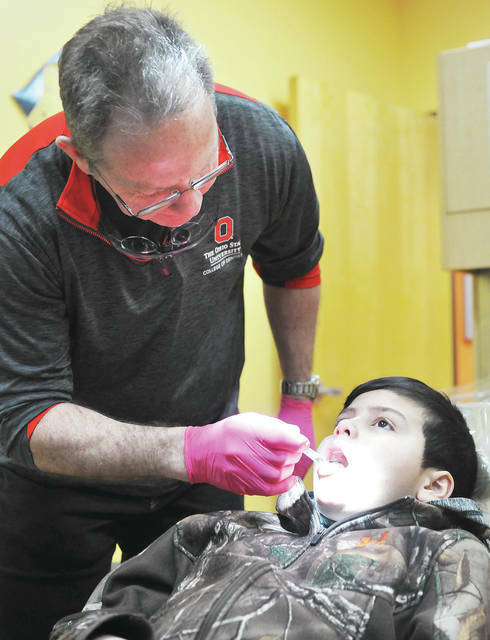 Dentist Charles Edelen looks at the teeth of Tristen Chalico, 9, son of Michael and Rose Boyer, all of Sidney, during a visit to Compassionate Care of Shelby County Free Clinic, Friday, Feb. 1. Kids were offered free dental exams during Give Kids a Smile Day. Dentists volunteer their time for the examinations.